That’s how we started the idea that, as the professional exec of our Jewish Federation, I should make a personal commitment to learning Jewishly. I know it’s hard – we all get bogged down in the daily and weekly grind of work, family, commitments, and more. And somehow the time slips by and another year has passed, and more opportunities are missed. But I don’t want that anymore. And with Bob’s help and guidance, we’ve been working on a vision of Jewish learning in a unique sense these past few months. Why unique? 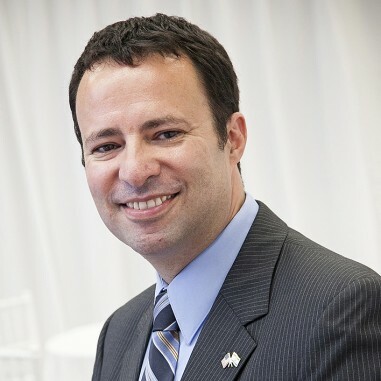 Because one of the most exciting, most inspirational, most uplifting aspects of living in this Greater MetroWest community, in the five counties of Union, Essex, Sussex, Morris, and Somerset, is the fact that we have hundreds and hundreds of rabbis, educators, cantors, and other Jewish leaders. Not dozens. Hundreds. Literally hundreds. And not just from streams and denominations that you may know, but literally a dozen different types (at least, depending on how you count self-defined theological or communal affiliations): Chabad, Modern Orthodox, Haredi, Traditional Orthodox, Reform, Conservative, Renewal, Reconstructionist, Liberal, Independent, Israeli, Sephardic… and I’m sure I’m leaving some out here. Just think about the array of brainpower, Jewish learning, exciting ideas and concepts and challenges we can encounter when we do this together. And Jewish Federation is about bringing us all together in a respectful, open, and vibrant dialogue. I meet with rabbis and leaders from all these streams and backgrounds regularly – so why can’t I learn from them? And if I can learn from them, why can’t you? That’s how we came up with “Torah with Dov.” I’m not the teacher – I’m the student. And since my passion is to learn from everyone, Bob and I have been reaching out to rabbis and educators from all the above streams and backgrounds to come teach me. 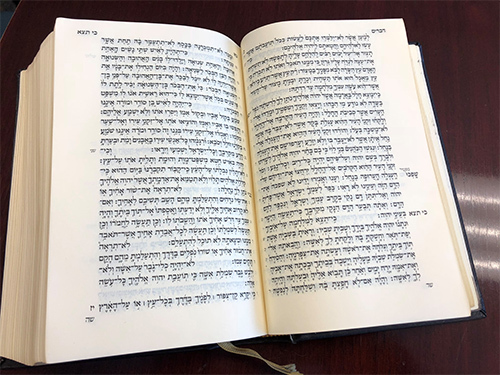 We’ve run a couple of test cases on a monthly basis – each time a different look at the Torah portion or a text, each time with a different rabbi from the community and invited guests. So far, we’ve had a Reform rabbi teaching a largely Orthodox group, an Orthodox rabbi teaching a largely Reform and Conservative group, and a Modern Orthodox educator teaching a mostly Conservative and Reconstructionist group. And we’re only just getting started! The aim eventually is to get us to a weekly meeting, each with a different rabbi or educator from the community, in a different location. I want more of those experiences. If you want to join me (we’ll hold these sessions every other week in the fall, and aim to make them weekly by the winter), contact Bob and we’ll be in touch.